This past weekend, Runefest 2017 hosted the finals of a RuneScape tournament with a whopping $20,000 cash prize for the winner, plus an additional $10,000 to be donated to a charity of the player’s choice. Five days later, and after accusations of cheating and foul play, the winner still hasn’t been determined. The competitors faced off in the 2007 build of RuneScape, known as “Old School RuneScape.” Because RuneScape is a massively multiplayer online game, this tournament takes place on a competition server with specific rules. The top 2,000 competitive players as of July 27 could qualify for entry in the tournament, which involved a week of leveling up, then battling. The last player standing would win the $20K. Jagex—the game’s developer and the hosts of the tournament—made a change to the rules this year. Once the 2,000 initial combatants had winnowed down to just 200 players, Jagex divided those players onto four islands of 50 players each. Seven of the players on the Red Island refused to fight one another and instead appeared to form an alliance. Jagex told these players they had to either fight each other or be disqualified. They all ended up getting the axe. In a statement, Jagex noted that these players were “warned repeatedly, and we reached out many, many times to them.” This disqualification, however, was just the first of many problems that arose during the tournament. Over the course of the event, several competitors got disconnected at random, leading players to posit that an organized series of DDOS attacks had been launched against them. Eventually, the last player standing was 5PLUS50K12, a player who happens to be part of a much-maligned RuneScape clan called Reign of Terror. 5PLUS50K12 was named the winner at first, but soon after, cheating accusations emerged. Many competitive RuneScape players are part of clans, which are fan-run factions; these clans all have long-standing beefs with one another. Reign of Terror has been accused of issuing DDOS attacks during past tournaments, although Reign of Terror’s clan rules do disallow DDOS attacks. Many other clans have also been accused of using this tactic, but it’s a hard claim to prove. This then raises the question of what to do with the prize money. At the moment we’re discussing what to do with it. A few ideas we have at the moment are another charitable donation, dispersing the money among the finalists, or carrying it over to the next season (or a combination of all of these). One big question remains for the competitors, though: How did these DDOS attacks occur? An attacker would have needed their opponents’ IP addresses. The best way to get them would be to have a man on the inside. Since this tournament lasts so long and involves so many players, it’s not an option to just call for a rematch. Debate has raged all week in the RuneScape community about who deserves the prize. Jagex has an unpopular decision to make. 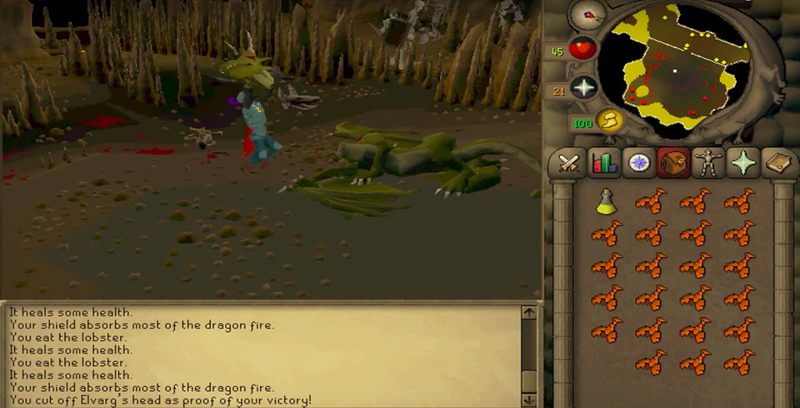 A PR representative for Jagex also told Compete that the allegations about staff favoritism are “wholeheartedly false.” According to this statement, the staffer suspected of collaborating with the initial winner “did not have any access to back-end systems during the final” and would therefore not have been able to aid in a DDOS attack.